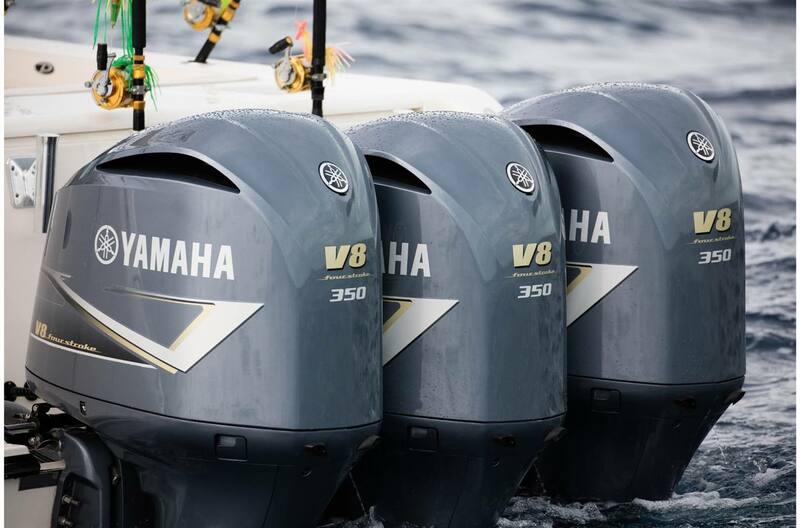 Yamaha's purpose-built 5.3-litre 350-horsepower V8 outboard surges to the front of the fleet when it comes to thrust and trust for moving big, offshore beasts. 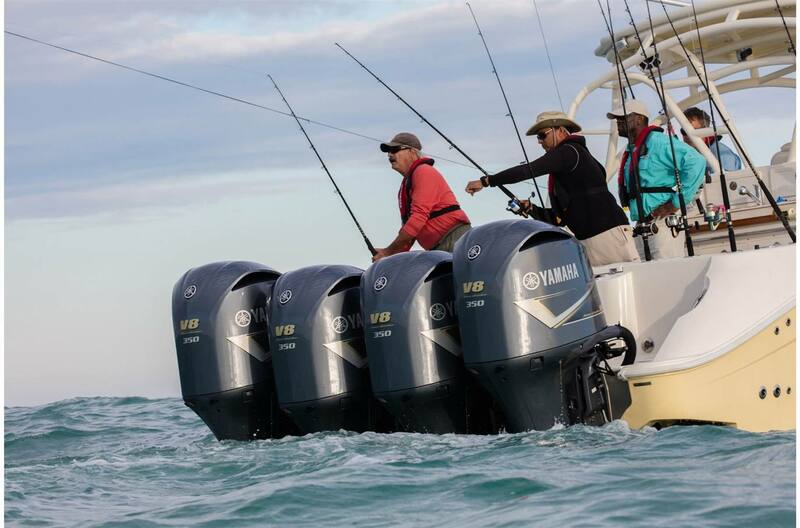 Now Yamaha's new F350C model becomes the only outboard in its horsepower class to feature a FIVE-YEAR LIMITED WARRANTY, because reliability and confidence are important when you're taking control of the open water. 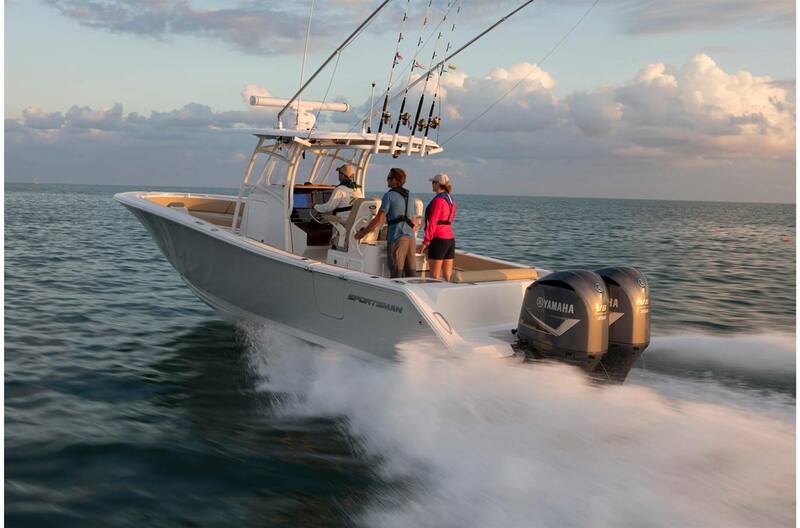 Five Year Limited Warranty: One hundred miles offshore, it's truly man vs. nature. 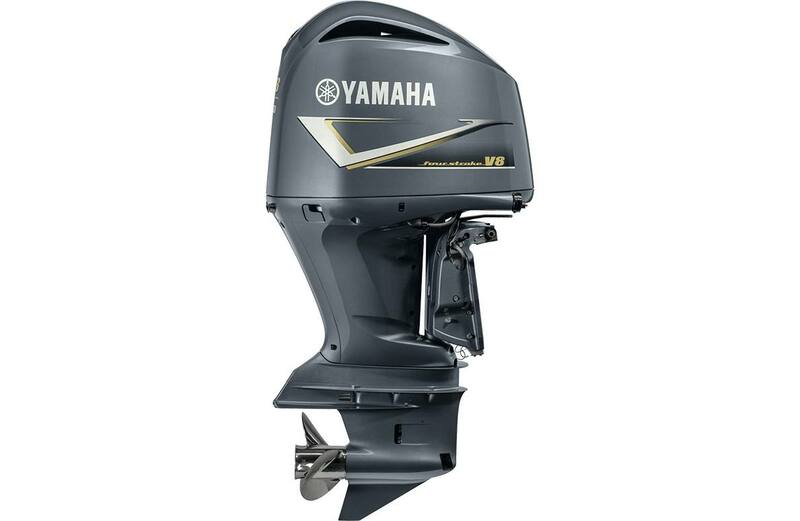 But nature wasn't prepared for the pure power and reliability of the Yamaha V8 F350. It stands up to everything nature dishes out and Yamaha stands behind the F350 with Five Full Years of Limited Warranty Coverage. 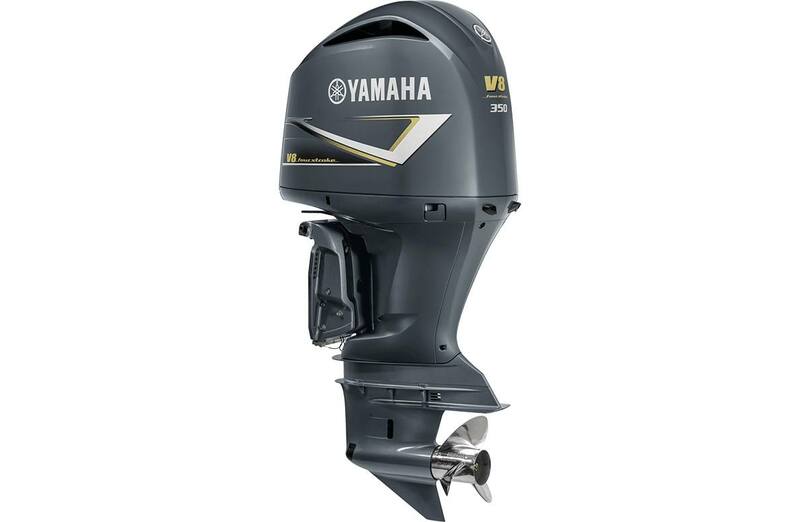 Compact/efficient: Yamaha's exclusive Dual In-BankTM Exhaust means it exits through the centre of the engine between the "V" of the cylinders, rather than on the exterior side, to allow for a more compact shape. The F350 also features dual exhaust, which helps the engine more easily purge the exhaust for greater combustion efficiency and power. 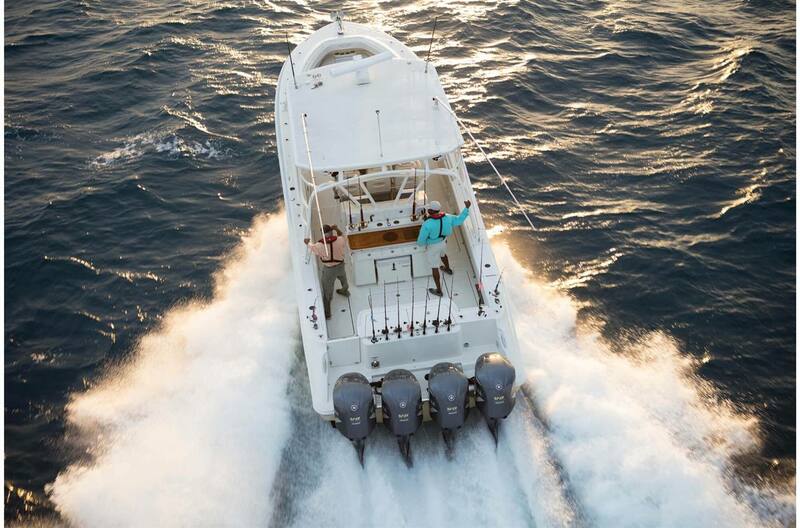 Big Power: The 5.3L V8 configuration is designed to easily produce 350 prop shaft horsepower with less stress and strain on internal engine components than small displacement, high-output outboards. Four oversized valves per cylinder increase breathing efficiency and contribute significantly to this engine's power and torque. Variable Camshaft Timing: This system advances and retards the angle of the intake camshaft to increase valve lift, duration, and overlap in the low- and mid-rpm ranges. 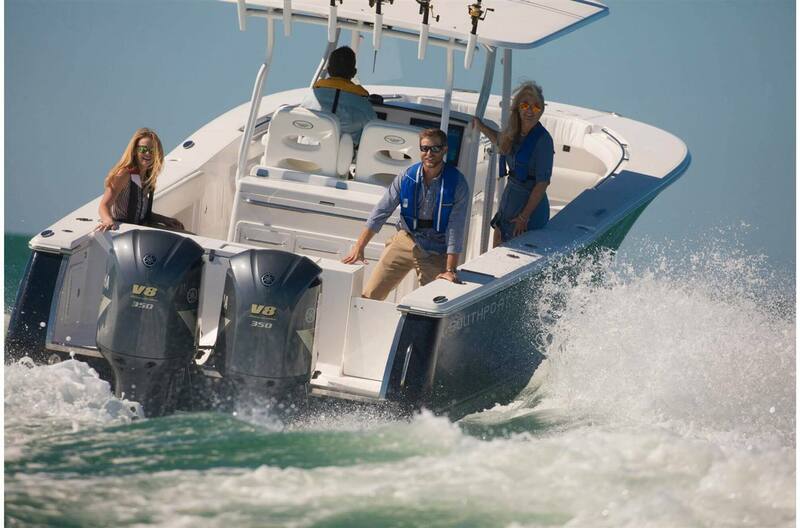 This gives the engine substantially greater torque between 2000 ~ 3500 RPM to plane large offshore boats with authority. Dual In-Bank Exhaust: Yamaha's exclusive In-Bank exhaust means it exits through the centre of the engine between the "V" of the cylinders, rather than on the exterior side, to allow for a more compact shape. Ultra Strong Gear-Case: It's large, streamlined design incorporates hardened gears and high strength oversized bearings and bearing surfaces to handle the tremendous power of the F350. 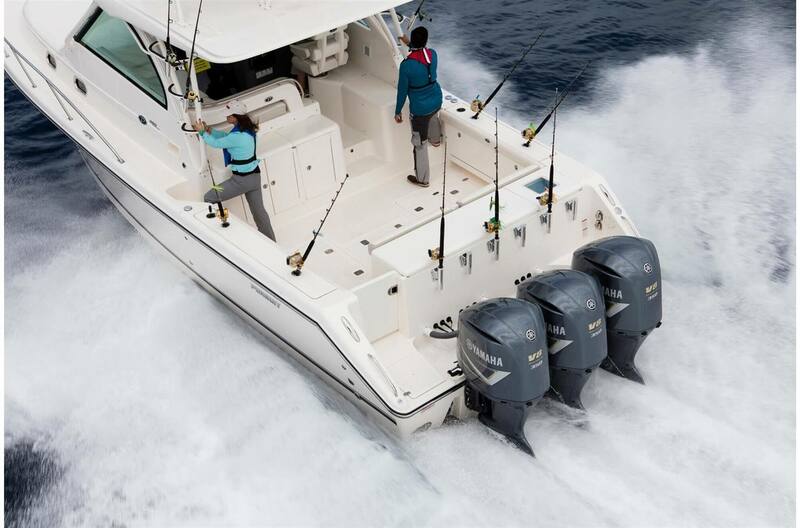 Variable Trolling RPM Control: By just pressing a button on the Command Link gauges, the operator can adjust the engine's trolling speed from 600 ~ 1,000 rpm, in 50-rpm increments. This helps provide precise and consistent trolling speeds in wide array. 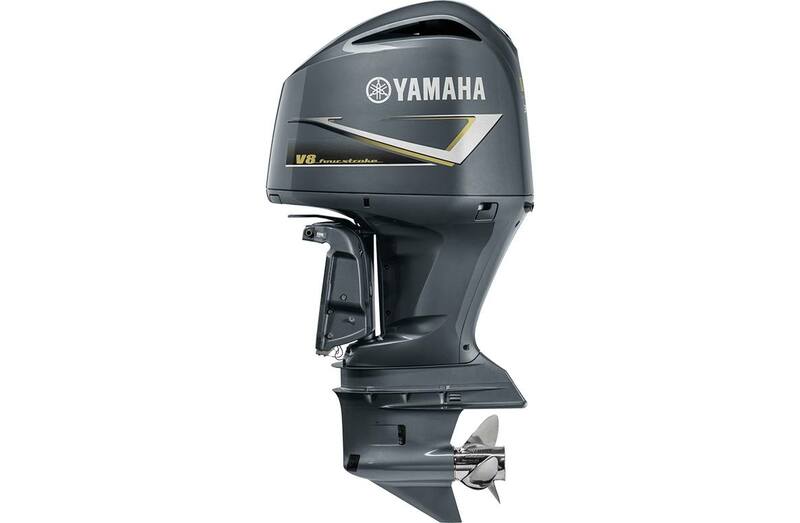 Saltwater Series XL Propellers: In order to harness the power and torque of Yamaha's F350, Yamaha designed special Saltwater Series XL propellers specifically to move large, heavy offshore boats. 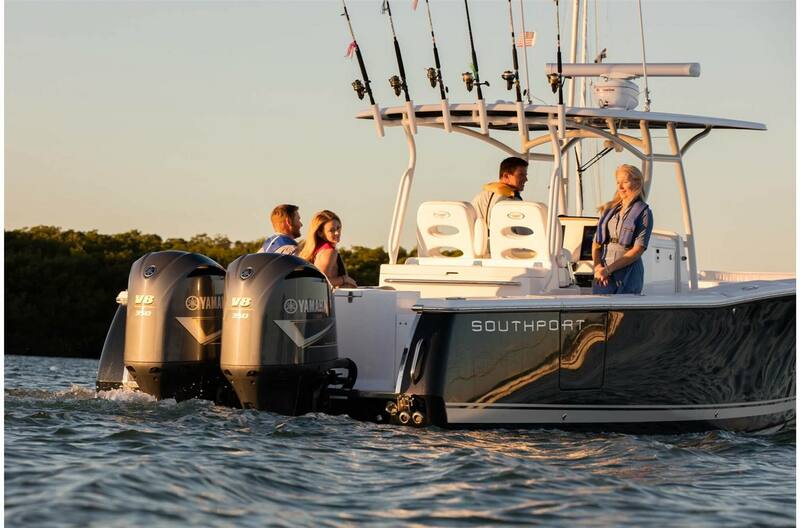 With larger diameter and 21% more blade surface area than our Saltwater Series II propellers, they help enable the F350 to deliver up to 45% more thrust than 250hp-class outboards. Yamaha's Command Link Digital Electronics Control: Features a built-in redundancy system using an additional Engine Control Module (ECM), which provides for continued operation if ever needed.